Shedding problems, collectively referred to as “dry sheds” by herptoculturists, are a not uncommon occurrence in snake collections. As I’ve never encountered a wild snake bearing unshed skin, despite having handled innumerable specimens, I am led to believe that establishing proper environmental conditions in captivity helps greatly in avoiding problems in this area. An important first step is providing an adequately sized pool for soaking. Although some snakes will not make use of a pool, most, even some highly arboreal species (i.e. red-tailed ratsnakes), will. Snakes that frequent moist habitats, such as the ribbon snake pictured here, should always have access to a large pool and dry basking sites (even highly aquatic species are prone to fungal infections if unable to dry off). The leucistic Burmese python pictured below is over 20 feet long and nearing 21 years of age. She resides in an exhibit that I recently refurbished at the Brooklyn Children’s Museum in NYC – her pool measures 5 feet square, and is 4 feet in depth, allowing her to completely submerge (not an easy feat in a private collection!). For arboreal snakes that might be reluctant to soak in a pool, such as green tree pythons, emerald tree boas and garden tree boas, maintaining the proper ambient humidity (while providing adequate air flow) is important. Extra misting is usually necessary when these snakes are ready to shed. Most shedding difficulties can be resolved by confining the snake in water overnight. Keep the water at a level which allows the snake to breathe without having to swim, and provide a brick or rough stone for it to rub against when loosening the old skin. Snakes so confined will try to escape their unfamiliar surroundings, and very often rub their snouts raw if a screen top is used. I have found ventilated plastic garbage cans to be perfect for soaking snakes – be sure to secure the top with duct tape and/or bungee cords. Some species or individuals are simply too high strung to tolerate confinement in a bare pool of water. I have found this to be true for black racers, certain garter snakes, coachwhip snakes, eyelash vipers and Neo-tropical rattlesnakes (pictured below). Note: Eyelash vipers and rattlesnakes were under my care in zoos, and, being venomous, are not suitable for private collections. For other species, standing water seems to be such a foreign element that confinement to it causes extreme stress. Among this group are African egg-eating snakes, vine snakes, patch-nosed snakes and rough/smooth green snakes. These snakes and similar species do very well when confined to containers of damp moss instead of water. They usually burrow right into the moss, finding security and moistening their skins in the process. When provided with a rough stone, they most often shed by morning. Specially formulated shedding aids are now available and are proving to be quite useful, especially when paired with the foregoing suggestions. Some individual snakes have difficulty with every shed – for these, you can apply the shedding aid once the snake has become opaque (once the eyes cloud over). After a problematical shed, be sure to check that the old eye caps (technically known as the brille) have been shed. This can be difficult to ascertain, so please seek the advice of an experienced snake keeper if you are unsure. Retained eye caps can be removed with the aid of mineral oil and a fine tweezers, but again this is not an undertaking for one inexperienced in the procedure. Well i have a green tree python, almost a year old. She is going through a dry shed right now and i notice her scratching herself against branches. Besides misting her, is there anything you suggest? Does it bother them or pain them going through a dry shed? plus, i’m not sure how to check the eye caps shed that was mentioned in the article. Hello Stephanie, Frank Indiviglio here. Thanks for your interest in our blog. It’s not unusual for green tree pythons to go through dry sheds…they do best in a humid but well-ventilated environment – a situation that is sometimes difficult to achieve. A cage mister or fogger might be helpful in increasing the ambient humidity, especially at shedding time. Your snake should be able to shed if kept wet for a night or two. I’ve found that green tree pythons do not cope well with being confined in water overnight. I suggest you place your animal in an escape-proof container packed with damp sphagnum moss and provided with a rough rock or tree limb against which to rub. Spraying her with a shedding aid beforehand would be useful as well. If the skin does come off, you can hand-shed the snake…spray a shedding aid first and be sure to have someone restrain her head so that she does not bite. Snakes unable to shed completely do appear to be uncomfortable. 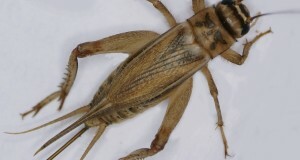 In addition, the areas below unshed patches of skin can be colonized by harmful bacteria and fungi, and the new skin sometimes becomes necrotic. Unshed eye caps are difficult to see…try shining a light into the snakes eyes (restrain her head tightly) – you may notice the old lid over the new, or that the pupil is not clear. Sometimes a bit of ragged skin is visible on the edge (usually lower) of the unshed eye cap. I suggest you bring the snake to an experienced reptile veterinarian if you suspect an unshed eye cap. Identifying and removing an unshed eye cap is a difficult prospect, even for a veterinarian. One Boelen’s python under my care in a zoo collection had no eye caps at all – they had been removed by a veterinarian who believed them to have been unshed! Please be in touch if you need further information, and let me know how all turns out. Hello Leigh Anne, Frank Indiviglio here. Thanks for your interest in our blog. It is not uncommon for a snake to go into a shed when afflicted by mites, even if it has shed recently. Sometimes this seems to upset the process a bit, and shedding difficulties may follow. I suggest that you soak the snake in water over-night; use enough water to just barely cover the body – the snake should be able to breathe without swimming. The snake will likely try to escape the soaking enclosure, so be sure that it cannot rub its snout raw. A tall, ventilated plastic garbage can, with the lid secured by duct tape, is ideal. Applying a shedding aid beforehand is beneficial as well. A few points, and please forgive me if you are aware of these, but be sure to apply the mite treatment as per product directions. Eggs are difficult to kill, so re-treatment may be necessary. Many products claim to be effective in killing mites hidden within substrates. However, I prefer to discard wood and other porous materials, or to soak such (and water bowls, caves and the cage itself) in hot water. Also, please let me know your ambient, basking and night-time temperatures. The nightlight may be contributing to the problem by reducing the ambient humidity. I have a 3 year old Saharan sand boa that I aquired about 4 month ago. He has been doing very well lately. At first, he didn’t eat for about 7 weeks, b/c the gal at the pet store gave me improper advice, and was trying to feed him mice that were too large. I finally got to him eat and he has been eating 1 smaller mouse every 2 weeks consistently. He once had a retained eyecap and it came off with a subsequent shed along with the other one, but it seems it’s time for him to shed again. The weird thing is that the same eye has started to cloud, but the other one is still pretty clear. His skin is starting to look slightly duller, but that one has me worried. His husbandry is fine, as I have done alot of research. Has this ever happened in your history of dealing with snakes? I apologize for being so long in responding. The delay was caused by a technical difficulty which has now been resolved. Cloudiness in the eyes prior to shedding is caused by a fluid which builds up between the old and new skin, and which aids in the shedding process. The fluid is visible through the eye cap. Perhaps what is happening is that the fluid is not evenly distributed, or for some reason it has not developed below the one eye cap. I have noticed this from time to time, in one eye or both of some snakes. It does not always lead to a problem, but might explain the unshed eye cap that you mentioned. I suggest that you check carefully to be sure that the unclouded eye does not have a retained eye cap, one the snake has shed. I’m very interested to learn how this turns out…please write back when you have a chance; your feedback will be helpful to myself and others. Thanks very much. Thank you so much for your quick relpy. I have been fretting a bit over this, as I do love my little guy more than anything. He still looks the same tonight, but he’s starting to rub his face on the tank, so he’s definitely starting his shed. I have increased the humidity a bit, so hopefully it’s a successful shed. I will certainly let you know how it turns out, eye caps and all. By the way, no apologies needed. Your reply was super fast. Thanks for the help and the advice! Thanks for taking the time to get back to me; it’s very helpful to have as much feedback as possible, as we still have a great deal to learn about most reptiles and amphibians. Sand boas usually shed well enough by rubbing through the substrate, but a rough piece of wood or a stone might be useful also. I’ve got a 1 year old green tree python that has had consistant shedding problems. I have checked with many sources and my conditions are correct. The problem seems to be that my chondro does not actively shed for himself. His belly will shed (obviously not in one piece because that’d be impossible without the back as well), but he won’t intentionally rub himself on anything. At the beginning of every shed, his chin has a flap for a few hours, and as he moves around the rest of his belly comes off. Every time he sheds I have to soak him several times and rub his entire body down with a q-tip. I never do this without first giving him the chance to get it right (he never does), so by the time I do the back doesn’t come off in one piece. He has a rough log, as well as textured perches, so he’s got adequate opportunity. I use shedding aid and shed-ease, which may or may not help…its certainly not a noticeable difference. It feels like a constant battle- how do I get him to do it by himself? Have you ever encountered a snake that won’t do his own shedding? Hello Sarah, Frank Indiviglio here. It sounds like you are taking all the right measures. I have run across snakes that consistently have problems with shedding, and most often it has been with green tree pythons and other arboreal species that favor humid habitats – garden tree boas, emerald tree boas, eyelash vipers (in zoos! ), vine snakes. Although we seem to have the basic husbandry of these well in hand, we may be missing something, at least some of the time. For example, I recall a garden tree boa that escaped from its exhibit at the Bronx Zoo. Despite a seemingly perfect environment, this animal had never shed properly. The snake made its way into a half-acre rainforest exhibit which was densely planted and showered via misters several times a day – a real humid, hothouse environment that seemed close to those rainforests I have visited. The snake (considerably larger… at the expense of the exhibit’s many small birds no doubt!) was recaptured 11 months later. It shed perfectly shortly thereafter, but then returned to a pattern of partial sheds. A physical problem may also be involved. Shedding is quite complicated, with fluids forming each time between the old and new skins to assist in the process. Perhaps certain individual snakes are, for whatever reason, unable to produce a sufficient amount of fluid, or there is something lacking in its makeup. Such animals might fare poorly in the wild, and would need continual help in captivity. If this is the case for your animal, shedding aids and soaking might be a fact of life. There are a few other things you might try. A small mister set to run all night as the snake gets ready to shed may help. You’ll need to experiment with the exact timing, and to assure that the snake can dry out every 2 days or so. Running the mister regularly, for shorter periods, may also be useful. I’ve sometimes had success by forcing a snake to burrow through damp sphagnum moss. To do this, place a layer of wet moss on the bottom of a secure enclosure, put the snake on top of this, and then cover the animal with 6-8 inches of wet moss; leave overnight. The high humidity and burrowing movements of the snake sometimes may help to work the skin off. I’m very excited to have found your blog! I have an almost 1 year old corn snake that was having shedding issues, so I soaked her to help it along. Now the very tip of her tail is raw looking (it’s very pink). Is there anything I can put on it to help it heal? Should I be worried? Hello Terry, thanks for your comment. Unfortunately, Frank was out all last week for emergency surgery. He should be back this week, at which time he’ll answer your question. Sorry for the delay. Hello Teri, Frank Indiviglio here. Thanks for your interest in our blog. I apologize for the long delay in responding to you…an emergency surgery put me out of commission for a time. If the injury is related to the stress of rubbing to remove the old skin, it may resolve on its own. The main thing to watch for is infection, which will first show up as a deepening of the pink coloration, progressing to red. 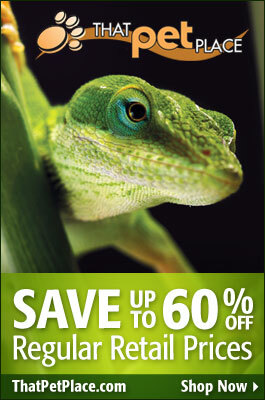 Zoo Med Repti Healing Aid is a mild antiseptic, and can be used as a safety measure. A small dab of an over-the counter Triple Antibiotic Cream for people is also a good idea. Be sure also that the snake can dry out, and can bask at 90F or so. If the coloration changes, you’ll need to have a veterinarian examine the snake and prescribe an antibiotic. i recently bought a baby kenyan sand boa and i noticed as soon as i got it home that it had a small patch of dry skin between its eyes/top of the head. will it come off on its next shed? is my ksb baby gonna be fine? im just worried. thanks. Hi Jake, thanks for your comment. Unfortunately, Frank is currently out on emergency surgury. We hope to have him back this week, at which time he’ll answer your question. Sorry for the delay. Hello Jake, Frank Indiviglio here. Thanks for your interest in our blog. I apologize for the long delay in responding to you…an emergency surgery put me out of commission for a time. A small patch of retained skin should not cause a problem, especially under the dry conditions favored by sand boas. If you wish to remove it, or the snake is a long time in shedding again, you can first soak the area with a Reptile Shedding Aid, and then gently rub the skin for tug at it gently with a finely pointed Feeding Tongs. I realize this blog post is a little bit dated, but i was wondering if you have any tips on assisting a shed for a rather aggressive Amazon tree boa. She is experiencing her second dry shed and is in a rather foul mood because of this. Normally i would apply most of these tricks you have already stated. The problem is she is about 4-5 feet long and goes absolutely bonkers when i try to assist her. She has no issues soaking she just does not have the care to remove the rest of her shed her self. After 2 unsuccessful attempts and a few bites, I’m a little bit discouraged. Given the fact that this is a medium sized snake, which is aborial obviously and therefore a little hard to handle when it starts wrapping your arm and hands, with a large set of teeth its starting to become painful for me physically obviously and mentally to watch her suffer. Do you have any tips for a situation like this? Hello Jeff, Frank Indiviglio here. Thanks for your interest in our blog. You do have a difficult snake on your hands but, unfortunately, hand-shedding is the only way to go in a situation such as you describe. For a snake of that size I always use to people to hold the animal while I work on the skin…much less stressful for all involved, and a shorter ordeal over-all. Check the eye caps carefully and seek veterinary assistance if you have not removed unshed caps in the past. Is the snake well-hydrated in general? I’ve found that it is sometimes difficult to induce tree boas and similar species to drink enough water. Some individuals will drink directly from a hose, which simplifies matters if such is available, but those that rely upon droplets of water sprayed about the terrarium are often somewhat dehydrated. This is turn limits their ability to shed properly. For one particularly shy amethystine python in a very large zoo exhibit, I resorted to using a syringe to inject water into a rat, which was thereupon fed to the snake. This worked out quite well (and possibly spared me the quite painful ordeal of hand-shedding the long-toothed, aggressive 13 foot long beast!). Check your ambient humidity as well, since this will also affect shedding. Tree boas are problematical in that they do well in humid environments, but need generous air circulation and the ability to dry off as well. If the snake’s cage is well-ventilated, a mister and small circulating fan might do the trick. Please be sure to consult your doctor concerning the proper disinfection of snake bites, and the necessity of a tetanus vaccination. We who work closely with snakes tend to disregard this point, but, as I can attest from first hand experience, infections from even minor bites are a real cause for concern. Hello Jake, Frank Indiviglio here. Thanks very much for taking the time to write back with the update and kind words; much appreciated. Hello frank, thanks for the reply. As far as the terrarium setup I’m 100% confident that its correct. i try to keep the humidity around 70% and I’m doing a good job of this. the Basking is 85 degrees and the cool area is around 76 degrees its also well ventilated with more then enough branches and other material such as suspended cork bark and a large rock to shed on. i actually have a dedicated room i keep my snakes in, its easier to control humidity and temperature this way. Normally she sheds quite well, but the last 2 times for no apparent reason (climate and habitat are consistent) she has had a bad shed. Her skin is hydrated I’ve been using a complimentary shedding aid spray to keep her extra hydrated during this time, and she removed her eye caps her self and the shed on her head, and of course the belly comes off with normal movement. but she leaves the shed on her back. I’m going to try injecting the mice i feed her with water as you have suggested. im also going to change her water dish back to the smaller one, which is the only thing i have changed since she started to have dry sheds. in the mean time My friend from a few hours away is coming down to hold her while i assist her shed. He is the only one who is willing to help since he keeps Jungle Carpet Pythons, as the rest of my friends willing to go near her have seen the bites and are not willing to touch her. As far as the proper care of bites, I’ve become quite good at it and i am up to date on my tetanus shots as I’m accident prone. PS: is there any consumer geared mister systems that you would suggest? i don’t need anything commercial sized. Hello Jeff, Frank Indiviglio here. Thanks for the feedback. Sounds like you are providing the snake with an ideal environment, and happy to hear you serious about caring for any bites that occur. Have you seen the snake drink from its bowl? Sometime they will if they see water being added, seems the movement attracts them…some folks install a small air stone to keep the water in motion. A mister might cause the snake to drink a bit more as well, and adding water to the mice is also worthwhile…start slowly, perhaps 2 cc. in 1 mouse at first. We carry 4 small misters designed for home use; the Tropicare provides for air exchange as well. I have a fogger and i also have a waterfall setup laying around that I’m considering trying out. By what your suggesting it seems to be a good idea. I have only seen her drink maybe once or twice. But by the behavior of my other serpents. i didn’t find this odd as most nocturnal snakes seem to be pretty secretive when it comes to drinking. Or so I’ve witnessed. As for adding water to see if she will drink, i will try this as well. As far as health wise she seems to be in good shape other wise. she eats well. every week regardless of her shed condition or not. She is alert and very active at night, and she tracks the heat from my body and or hands when i put them in the terrarium. All and all she is a good pet i enjoy having her very much, but id like to get her shed back in order so she can live in some comfort. One last question, when you add water to the food item are you gut loading with a needless syringe, or a needled one and just anywhere? Pre-Killed/Frozen Thawed of course. The fogger/waterfall would be worth a try, as long as the snake can dry out as well. I agree re nocturnal snakes in general. However, I’ve had the opportunity to watch a number of arboreal species at night and in nocturnally-lit exhibits and most drank immediately and deeply when offered water via a hose but not, as far as I could tell, otherwise. But, of course, difficult to be sure…in any case, water in mice is worth a try. I had access to syringes with needles at the Bronx Zoo, and so injected the water subcutaneously in several different locations. It might be a bit difficult to introduce water down the throat with a needle-less syringe, but I have not tried. If this doesn’t work, you may need to make a small incision into the body cavity (yes, pre-killed!). Hello. I have never had problem with my corn snake shedding. Recently I noticed he had some of his old skin still around one of his eyes. I tried to wet it with a q-tip however, he won’t stay still long enough for my to pull it off with tweezers. Any suggestions? Hello Elayna, Frank Indiviglio here. Thanks for your interest in our blog. It’s very difficult to remove unshed skin without at least 1 other person to restrain the snake while you work. Applying a shedding aid before using the tweezers will help. However, if there is only a bit of skin around the eye, and not an unshed eye cap, it would be safe to leave the snake as is. The skin should come off with the next shed. Problems are more likely to occur if large patches remain on the abdomen, or if the eye caps are retained. Please write back if you need further information. Thank you for the information. I will wait untill his next shed. Once again thank you. Hello Elayna, Frank Indiviglio here. You’re quite welcome; it should work out fine. My son has recently acquired a small, captive bred (20cm)Brown House snake. Recently she shed, and then ate one pinky a few days later. She has defecated since. She has refused any further offerings of pinkies over the last few days. This morning I moistened her cage with water and noticed that she immediately began drinking droplets off the walls. (She has a water container permanently in the cage). Should I be concerned about the un-shed skin and how often should she eat? Hello Johan, Frank Indiviglio here. You can hand-shed the snake, but as it is a young animal and will shed rather frequently, you can wait until the next shed, at which time the retained skin should come off. House snakes are native to South Africa, and may retain an internal cycle that is in tune with the local seasons. Even when kept warm, the snake may eat little over the winter. However, a pinky is a substantial meal for a new hatchling, and the snake may not feed again for 10-14 days even if it does remain active throughout the winter. Ideal temperatures for active house snakes would be an ambient of 25 C (77 F) and a basking temperature of 29 C (84-85 F). The snake may begin to feed every 7 days or so, which is a good between meal interval, once spring arrives. They usually reach sexual maturity by age 2-3 and at a length of 75 cm (30 inches). Spraying the cage stimulates a number of species to drink. House snakes will, however, also use a water bowl. About a month and a half ago I aqcuired a beautiful ball python, she’s 7 months old, 21.5 inches long. She has shed twice in the time that I have had her. I always thought snakes shed in one piece, and when she didn’t I thought it was simply my misunderstanding. She has just shed for the second time, and after two or three days of not completely shedding, I bagan assisting her, however her head, eyecaps, and upper neck are still covered. It has been this way for about 4 or 5 days now. I live in a very rural area, so I have no access to a vet or shedding aids. I have jury rigged a way to increase the humidity, with wet paper towels on top of her screened lid, and indeed, the humidity has increased. Still, the skin on her head and neck will not come off, and I’m afraid to tamper with her head or eye caps. She has a pool and drinks from it readily, after I pour in new water, and at various times during the day. I see her soaking sometimes, but nothing helps. I read somewhere that you can put your thumb over their eye cap and slide up to release it, is this advisable? Thank you for your time, your site is most enjoyable and informative. Thanks for your interest in our blog and the kind words. I suggest that you try soaking the snake overnight as described in the article; be sure to add a rough rock that the snake can rub against. Raising the humidity as you describe will help in some situations, but I believe your snake needs more at this point. When you return the snake to its terrarium, remove the wet cloths – an extended time without drying out may lead to skin blisters and fungal infections. The eye caps rarely lift as easily as you have read…veterinarians even run into difficulties. You can by shedding aids online for delivery to you – however, I would use them on skin only. Unfortunately, if the eye caps do not come off after soaking, a veterinarian or waiting until the next shed would be your best options. Experienced hobbyists are sometimes quite skilled at procedures such as eye cap removal. If a veterinarian is not an option, perhaps you can find someone to help you on this list of herpetological societies and rescue centers. My sand boa has a very healthy appetite, there was two week period of shedding and then back to her big appetite. Now she is only killing her prey and not eating it. This has gone on for going on 3 weeks. WHY? Hello Tammie, Frank Indiviglio here. Sand boas experience a period of dormancy in some parts of their range; sometimes an “internal clock” signals them to stop feeding during that time, even if they are kept warm in captivity. The movement of the prey may be enough to stimulate a hunting reaction, so that the snake kills but does not eat its meal. Another possibility may be that the snake has fed well for awhile, and really is not hungry but again is stimulated by live prey to make a kill. Snakes often eat in “spurts” – ravenously for a few months, then little. Usually they are fed more than they actually need in captivity. If you are on a once weekly schedule, try going to every 14 – 18 days. Adult sand boas in moderately sized terrariums do not usually need a meal each week. I would caution you against using live mice – a bite injury will invariably occur in time, and the resulting infection can prove fatal. Pinkies of fuzzies are safe to use live, but a dead small mouse, moved about with a feeding tong if necessary, is preferable. I have a brazilian rainbow boa which I just bought. I used some of your tips to get an unshed eye cap off. It looks like there is another layer of unshed eye cap though in the left eye. It is still very cloudy and did not come off when I removed the other layer. Any suggestions would be greatly appreciated. Thanks for your interest in our blog and congrats in being successful. There can be more than 1 unshed cap – however, the cloudiness can also be the result of an injury or even a fungal infection, so you may be seeing the actual functioning eye cap. In that case, removal would cause permanent damage (I once saw a veterinarian mistakenly remove a functioning (as opposed to unshed) eye cap – Not good! Try putting the snake through the steps you just took (soaking, etc) but do not try to pry the cap away from the eye. If it does not move off with some pressure from your finger, I’d suggest a vet visit to determine exactly what you are dealing with. Please write back if you need a reference to an experienced vet in your area, and I’ll try to refer someone. Actually I removed the first one by rubbing with a warm cloth. It came off fairly easy after I had soaked the snake. I am kind of afraid to rub much more though. Would you suggest I wait for another shed. It just shed a few days ago, so it will be a few weeks before another shed and the eye is very cloudy. If you suggest I see a vet please refer one. I am in Bridgeville PA, a suburb of Pittsburgh. Hello Alex, Frank Indiviglio here. Assuming the cloudy area does not spread and the snake is behaving normally, it’s probably safe to wait until the next shed before taking any more action. Just so you have it in case, here is a list of some Herp Experienced Vets in PA; if you are near Cranberry I can recommend Mike Hutchinson. You can also search via zip code on the web site of the Association of Reptile and Amphibian Veterinarians. Good luck and please keep me posted; please send a note when it sheds, I’d like to know how it looks. Hi Frank, thank you for your response. I dont feed her in her tank, and i feed her small hopper’s , she is finicky about the size, so she does not get adult mice. I moved her now into a larger tank as well. I notice she is moving around in there. I think she was just too cramped, not working off her food. I also read somewhere that they go into a hibernation during cold weather??? I has gotten unusually cold here in Sunny California, she has her heat pad and overhead light as well and my house is warm and not drafty. So do they sense the weather? Many reptiles do sense the season of their natural habitat via an internal clock of sorts; ball pythons are particularly notorious in this regard. Usually, their behavior is linked to what may be happening in their native habitat, despite being kept in captivity in another part of the world – really quite amazing. Please see my article Autumn’s Effect on Reptile Appetites for more information. Wild ball pythons go off feed during the dry season, but captives exhibit what seem to be random patterns, stopping at different times of the year for months on end. Some have suggested a link to barometric pressure changes…in any event, it seems not to bother them; a 51 year old at the Philadelphia Zoo is the oldest captive snake on record. Thank you for your response, she actually got into her bowl of water today, something she has not done in the smaller tank, i would have to soak her in the sink. So i believe it was her habitat just got to small for her. So will try to feed her again next week. I think she will be ok. Will let you know how everything goes. Thanks again. Just one note of caution – most reptiles host Salmonella and other potentially harmful microbes as a part of their normal gut flora, even if they are in good health. Soaking in a sink that people use should be avoided; sorry if this is obvious, but you may wish to contact your family doctor concerning proper disinfection of the sink and similar areas. So I took my snake to Del Weis a breeder from Special Care Pet Center. He removed the eyecap for me. Almost immediately the snake went into another shed, only about ten days after finishing its last shed. I was also told that I was keeping the humidity too high in the tank, and the snake was beginning to get skin blisters. I had previously read that brazilian rainbow boas are not susceptible. Have you heard of this or have any experience either way. I did have the humidity real high hoping the snake would shed its own eyecap. The breeder’s advice is sound – even though rainbow boas inhabit areas of high humidity in the wild, they are as susceptible to blister disease as any other snake. Many years ago I even managed to do the same with a Northern water snake – it was set up in a semi aquatic tank but did not leave the water to bask; it developed skin blisters within a few weeks. When raising humidity, air flow is also important – covering the screening with plastic, for example, often leads to respiratory ailments. Leaving your snake a large water bowl min which to soak is the best option when it sheds – you can mist the terrarium, but be sure it dries within 30 minutes or so, and do not allow the substrate to absorb water. If the snake goes through a dry shed (skin remaining on the body, soak it overnight as mentioned in the article. Eye cap retention is not always associated with dry conditions – sometimes it occurs independently, linked perhaps to the fluids that the snake produces in order to assist shedding. After a trauma or injury, it is typical for many snakes to go through a rapid shed cycle. If this occurs continually, you should check for mites. In your snakes case, it is likely in reaction to the developing blisters, and not cause for concern. Thank you for your response and yes i am very aware of that, i do my research, and even though i usually know the answer to whatever i have to be reassured at times. I am a very clean person and do desinfect everything in my house, i am the only person that uses my sinks with an occasional vister once in awhile, i even strain her sand before putting her in it. She gets clean water daily, and clean her tub after every feeding. My kids say i am too picky well it saves on the vet bills. And i do all of my own vet care with most all of my animals anyway. I came accross your site here and loved all of your infomation! Your very helpfull. my question is regarding my 8 foot burmese python. She seems to be grumpy during her blue phase. Is that normal for them to be a bit off during this time? Ive had her for 2 yrs now and when I see her eye caps I cover her tank untill shes shed. it seems to calm her alot. Any ideas on how to handle her if I need to during this time? Thanks for your kind words, I’m glad you’re enjoying the articles. Snakes of all species usually become irritable during the blue phase, prior to shedding. It’s instinctual, as at that time they do not see well and also are more prone to injuries due to the changes occurring beneath the skin, and the texture of the skin itself. In zoos the standard procedure is not to handle snakes at all during this time. It’s very easy to injure the skin when handling a blue phase snake. If absolutely necessary, the best way is too try to nudge the snake along, so that it moves on its own, if possible. Covering the tank is an excellent idea; be sure there is ample water for soaking as well. Please keep in mind that snakes of that size have caused fatalities – a few seconds of pressure around the neck area is all that’s needed to cause a person to become unconscious. Thank you. I thankfully did my home work before I brought my burm home. Always myself and my husband to handle her. My 10yr old son is also learning all the saftey protocall when dealing with large species reptiles. We as a family try to educate people on owning any reptile large or small. I use sites like yours here to show my son and his friends the do’s and do nots of the reptile world. You make the reply very easy to understand and so far the children love reading it! As for our big girl, we have been making modifications to our reptile room to fit her growing needs. Also saftey for her and the family is changing as she grows. We do alot of research on her species to make sure we have the most updated information and requirements. Thanks for the feedback and kind words; I’m glad you’re going about this in a responsible manner. Always happy to hear from children as well…please have them write in if I can ever be of any help. My boyfriend and I just perchased a Columbian Rainbow Boa about 3 wks ago. The pet shopp said he is about 10 months old. He raised him since a hatchling, he is very tame and friendly like to give kisses on face. This is our 1st snake and he has started the shedding process about 2 days ago. His eyes are milky and he seems skiddish. I have a ceramic tree trunk, ceramic hide away, large enough water bowel, and use reptile bark for his ground. I made him a humid box out of tupaware. I put shopp towels in it and the hole is cut out of the top. He seems to want to go under it instead of in it. My boyfriend thinks that since I also keep the humid box all the way on the cool side. I here a lot about moss, wondering if this would be better? I keep his water bowel on the heat side right under the heat light he doesn’t seem to go in it he likes hanging out on the cooler side, which strikes me as odd because it is much cooler than what I have studied it should be. I am wondering where is the best place for his water. I keep it 79-82 Heat and 69-72 Cool which from my studies is a little cool for Columbian Rainbows. The pet shop said he kept it around 80-70. I also try my best to keep the hunidity around 75-80, it does have a tendancy to drop to about 68. The pet shopp said he used a red light and no uva. I started using both is this ok? I noticed he wakes up about 30 min-1 hr after I change to the red light, but I also find him and pet his mid a few times every night as I change the light. I dont pet him in process changing out to day light. Could he be waking up bease of this instead of the light change? Should he have any uva? Any extra help apprecieated. I just want to make him as comfortable as possible, expecially at this shedding time. I was also wondering as friendly as he is is it ok to hold him while he is shedding? Hello Oriana, Frank Indiviglio here. First and most importantly, please do not put the snake near your face – snake’s respond to things which we cannot sense (vibrations, odors, etc.) and will bite for no apparent reason – I have seen this happen with snakes that have been calm captives for over 20 years! In addition to serious injuries to eyes and other areas, a bite can result in a sever infection. Please – Always put safety first when handling even small snakes. Do not handle the snake when it is shedding – snakes cannot see well at this time and usually bite sooner or later. Also, handling can easily cause damage to the new skin developing below the old. UVA/UVB is not necessary, as far as we know at this point. Red lights are good for night-viewing, or to add heat at night. Damp moss within a shelter is fine. Please check out my article on Rainbow Boa care for a bit more info. The snake’s activity is probably related to an internal cycle – boas can become quite calm in captivity, but they don’t seek attention in the manner of a dog or cay (more like they “tolerate it” – sorry! – but still good to handle the animal regularly, just bear in mind that it is a very different creature than a dog or cat). I have a mali uromastyx that i got from a friend that didnt take care of him very well and he has a bad case of dry shed. I wasbtold by a pet store in town that i should soak him for a couple of hours every other day till i can get all the old skin off. But im noticing that all the scales are coming up on the really built up parts what do i do? Hello Kelli, Frank Indiviglio here. Thanks for your interest in our blog. Several hours in water will likely be stressful for a desert lizard; you can try the shedding aid mentioned in this article, but a vet visit is your best option. Usually lizards shed of old skin in time, once they are well-fed, but bacteria can take hold and cause an infection beneath old skin. Please let me know if you need help in locating a vet. Mali uromasyx are not easy to keep…they need a very specific diet, high UVB radiation and a hot basking spot (100 F or so)…please let me know f you need any care info. Very good to hear, Sindy, thanks. So quick question with sheds, my green python is goin through a rough shed its been comin off in pieces. Will she keep working at it and have the possibility of a better shed next time, removing the previous straggling pieces? I upped her humidity it helped tremendously last time but she’s about a year and extremely aggressive and I’m worried about restraining her and her breaking her spine, I’ve read its common in baby green tree pythons. Also I have a Burmese that developed a type of dandruff, he’s super flaky and the only thing I changed is puttin baby oil in his baths after trips to the park to smother any bugs. Any ideas? Yes, they can be tricky, due to high humidity needs..(be sure there is adequate airflow also); It will not likely continue to work on the shed; old pieces will come off next time, but problems sometimes develop if you leave the old skin in place, hand removal is best with 2 people, so as to avoid being bitten or injuring the snake. Confining the snake to a container filled with damp sphagnum usually works..shallow water also, but this is more stressful to that species. be sure to check old skin for presence of eyecaps. Possibility of picking up a snake-specific parasite after being outdoors is very remote; unless the animal is covered with baby oil or similar, w/o water, for quite some time, you’ll not likely be affecting any parasites that are present. Not sure about the flakiness…is it overly dry skin? Is a bowl/pool large enough for soaking always available? Mite droppings can give that effect but only in very high numbers…yo’d have noticed them. Usually the tree python has full healthy tube like sheds its only happened one other time, but ill see If I can peel off the excess, as far as the burm he’s not drie he has a water dish and gets baths every couple days if he is in the mood….do you think it could be the oil makes him to moist, the flakes look like pieces of the shed that maybe didn’t come off with a initial shed. There usually single scale flakes. I’m pretty sure he doesn’t have bugs I’ve never seen any red on his paper or bugs when i change his tank. It could be, although I can’t say for sure as I’ve not used oil in that manner; I would discontinue, no real value in eliminating parasites in any event, see how the animal looks after the next shed, then re-evaluate; pl keep me posted, hope all goes well. Hi, Sorry for the delay…glitch in system. Hi Sindy again my big female corn snake shedded recently it took about 3 week from start to finished no problems,with the shedding but its been almost week after shedding and she still won’t eat what to do?please help? Snakes can go into winter mode even if kept warm,..as long as otherwise healthy, a 2-3 month fast will not cause problems. Try once each 10 days or so, and keep water available. Please do not use live food…the snake will be bitten in time, and the resulting wound always becomes infected; eye loss common as well. Corn snakes never refuse dead mice long term. Killing without feeding is usually a defensive reaction. Although snakes hunt live prey in the wild, introducing a live mouse into a cage, which is a mere fraction of the size of a snake’s normal territory, is stressful to many individuals. Infections ca develop under old skin but it’s not likely with a tiny piece on the tail tip. Using some help to hold the snake still, you should be able to slide the skin off by hand after lubricating with shed aid ; a bit of olive oil also works well. Check sheds for the presence of eye caps…if these are retained problems may develop. Next time a bad shed occurs, try confining the snake in some water overnight, as described in the article…more effective than a towel, etc. Snakes go through periods of non-feeding, etc. No need to worry about a 12 day fast. If the snake remains inactive and appears unable to move when disturbed, you’ll need to see a vet..let me know if you need help in finding one, but I wouldn’t be too concerned right now. Could air-conditioning in the home be affecting the terrarium’s temperature by day or night?..this will slow the snake’s metabolism. Thank you for the advise. The temperature has not significantly changed and is controlled by heat pad~ we have no air conditioning. Se does appear to be more alert when disturbed, but I think I will take her out tomorrow and investigate properly as I have been afraid to stress her out if that is the reason for the strange behaviour. I will definitely monitor and give more feedback. Thanks again! Hi again. My corn snake eventually settled down again after her bad shed and she ate 2 pinkys which she regurgitated 2 days after. I waited 15 days before feeding again and raised the temperatur to 28~30 degrees c. I fed her Sunday only 1 pinky and last night she once again regurgitated it. Now it seems her eyes is milky again so she is probably preparing to shed? Could that cause the regurgitation? Should I be concerned or just give her more time~ I am truely very worried after the 2nd regurgitation and 1 month fast(not even sure if they usually shed without eating for so long). I do not know of any reptile vets in our area but will make a plan if it is needed. Pls advise. Thank you for the advice~ I have found a reptile vet and I am taking her today. Thanks again! Hi Frank, it’s Alexis again-we emailed yesterday. Thank you for all your advice. I wanted to buy the shedding aid, but was concerned about ordering it as I would have to wait for days for it to get here (can’t afford faster shipping options) and he would have to go that much longer with the unshed skin on him. I looked at my local pet store today and they do not have it. Is there anything else I can use, such as straight jojoba oil, to rub on him so he can finally be free of that dead skin? Also, with the shedding going on he has not been fed for two weeks now-do you think it is more important to let him finish shedding before I feed him, or should I feed him and resume with helping him shed after giving him a couple days to digest? My ball python’s head has stuck shed, but his eye caps are off, is it safe for a shedding aid to touch his eyes? I have a 9 month old anery corn that i got about a month ago. The day i got her she shed perfectly in one piece and i didn’t even know she was going to shed. Now tho, she has been showing signs of being in the blue and her eyes clouded over and cleared fully yesterday, so last night i gave her a 15 min soak in the tub and i expected to have shed fully but this morning she has little pieces of skins sticking up. From her head to the middle of her she is clear with no skin sticking up but the end of her is very dry and has the pieces of skin sticking up. I can’t find large pieces of shed in her cage so i don’t know if the top half of her is shed or not and i don’t know if her eye caps are still on or not. I put damp paper towels in her hides and i misted her cage a few minutes ago, and i will do this again 2 more times today. Should i just wait and see what happens or is there a reason or concern? I acquired a baby corn snake last August. He has been doing great and has been very docile, but recently has become bitey and skittish. Also, the end of his tail looks dry and ever so slightly blistered. I’m concerned. They often become defensive just prior to shedding; best to leave alone fir several days. also, their reactions to handling can change over time, although corn snakes tend to remain fairly docile. Snakes can sense odors and vibrations that we cannot, and this can cause aggressive reactions, bites even when all seems fine. Check the tail after it sheds…you may be seeing a bit of retained skin. If the snake appears to have a growth or injury, a vet visit would be in order…please let me know if you need help in locating a veterinarian. My son’s corn snake had a bad shed recently. Her head and much of her upper body have shed, but all along the rest of her body, there are long lengths of shed left. My question is, what will happen if we just leave her and let the bad shed come off with her next shed? I noticed my little corn snake had a small build up of unshed skin at the tip of its tail, so I soaked him them helped him ease it off with a wet towel. It came off, but his tail looks red and raw now. Should I be worried about infection? We got a ball python about 6 weeks ago. He eats well and handles well, and was very active at night until recently. He confined himeself in a hide where he defecated, so I gave him a bath to remove the smell and prevent illness, then thoroughly, gently dried him. He ate immediately afterwards. That was about a week ago. Since then, he barely comes out of his hide, even at night. I have taken him out a couple of times for gentle, brief handling since then. He defecated normally in the same place as before (under a log hollow) but is no longer using it as a hide, and instead using one on the other side of the tank. My main question relates to his hides. He hates moss! I’ve put moss in two separate hides and in each case he refused to enter the hide until the moss was removed. This concerns me because he’s been dull for about 2 weeks (he eats once a week, and has never refused) and today his eyes are clouded over. How can I help him shed if he hates dampness? He has never soaked in his water dish, and I could tell he hated the quick bath I gave him, and he refuses to use hides with moss. I’d prefer to avoid soaking him since it obviously distresses him. Is there something other than moss I can use? This is his first shed with us. The ambient humidity in his tank ranges between 50-55% and temperature during the day is 87 in the basking area and 81 on the cool side at ground level. Night time is 79-84. Thank you!! All the research I have done on their native habitat suggested this, but everything I’ve read online and in brochures from pet stores says that you must provide moss in a hide box. I’d like to design him a naturalistic terrarium as he grows (he’s about 2′ long now), but everything I have seen seems to cater towards a rainforest theme – except I have found little suggesting that ball pythons actually prefer to live in the rainforest, so I find myself trying to come up with my own designs to mimic an arid grassland. I do keep the water dish filled with fresh water for him. Should I feed him since he is beginning his shed? Tomorrow is his normal feeding day, he takes 2 small mice and is quite a vigorous eater. I believe he’s about a year old. I’ve read that they shouldn’t feed during shed cycles, so should I just let him wait it out? My pleasure!…very frustrating trying to research on the net, esp. re a popular species. The links below are to articles on their natural history…any decent snake book – Merten’s Snakes of the World etc. will be a good resource for you as well. They have a huge range, with varying conditions, but the ancestors of those in the trade originated from extremely arid zones, nothing remotely resembling a rain forest. Hi i have two snakes currently a CalKing and an albino milk snake, both only about a foot and half or so long, young snakes. My CalKing has no problems shedding, always sheds whole including eye caps. The milk snake has had problems shedding for both times shes shed since ive had her she gets really dull and cracking but wont shed. I spray her with water and the shed aid almost once a day (which another question, can you over use that? How often should i be doing that?) usually soak her in warm water with some shedding aid once she gets really cracked and looks like she is about to peel off. Then i have to run my hands over her body and her skin comes off in pieces, usually have to pick bits off. What can i do to help her shed by herself? Should i take her to a vet? Hi there. I have recently got a ball python and he went threw a bad shed. I gave him a few steam soaks and got all of his shed off. Except for his chin back to his neck. I think I might rub it with a warm cloth after I let him soak a little wile. I am just a little worried that he may develop scale rot. What is you opinion on this? And what should I do to ensure he sheds in one piece. I have his humidity at 75 to 80 percent when he sheds and around 50 or 65 when he’s just hanging out. You think maybe to much flucruation in temperature and humidity or stress? I have a room are that plays a lot of music? You can also use a bit of olive oil or a shed aid to help remove the remaining skin. Skin infections usually take hold only after a long period, or sometimes if the eye caps are not shed; don’t worry too much about it at this point. You can also let the snake soak for several hours or overnight in a container with water as described in the article right after the next shed. The humidity is fine…be sure there’s also a water bowl large enough for soaking. Stress is not known to affect shedding…re music..hearing in snakes is limited to detecting air vibrations…the snake may be able to pivck up on your music, depending on sound frequency etc. (please see here) Not good to stress the animal in general, but this would not affect shedding. I’m a new ball python owner, so I did really bad at keeping the humidity level, it usually varies a lot from 20% to 75% every day. I don’t know how to keep it at a certain level, will a fogger work? Also, I have owned it for a little passed a month and I believe he is pretty young. He started to rub his face against log for a week but didn’t show further signs of shed, should I be worried? How often do young python normally shed? Thank you sooo much!!! P.S. The temperature for hot spot is usually at around 80F. Humidity is not a concern for this species…native to arid habitats. If you provide a water bowl large enough for soaking the snake should be fine. There’s no set time interval for shedding – depends on individual snake, as well as temperature, diet, age etc. It’s rarely a concern for ball pythons. About a month ago I purchased a Brazilian Rainbow Boa, she’s about 4 mos. and she’s just completed her second shedding with me. About a day ago I noticed the tip of her nose appears to have a crusty appearance, but more smooth crusty and not flakey. It’s like her nose was more brown before (she’s an anery) and now its tan/cream-ish in color. Not sure if this is a shedding issue or something systematic. I’m worried about RI… I feel like I can’t see her nostrils like I should and they’re clogged or something? I will try soaking for a period in the meantime awaiting your response, since I feel she is not doing so herself.. I reside in New England: I keep her enclosure around 80 degrees F, well the warm side at least, and her humidity is regularly 85%. I use cypress substrate and moss, she has her hideout place, a climbing branch for fun and an adequately sized water dish. I never really see her soaking in water unless she’s doing it while I’m sleeping, she’d rather lay under moss and cypress. I do however keep her water bowl on the warm side to try and keep humidity up since that’s a hard factor to maintain my given climate. Is the water too warm for her? Also, she hasn’t eaten for me yet. It’s been almost one month since I’ve had her. I’ve tried several times, I was told she’s eating fuzzies but I can only find them frozen and I’m wondering if she’s not super impressed with the whole frozen/thawed idea. I feel like she’s had enough time to adjust to her new environment so I don’t know if that’s the issue? She seems happy and active, just not interested. Gosh, I feel like a bad mom, and I know I have a lot of concerns but any of your expertise would be so greatly appreciated! If the area near her nostrils id just a bit of dried skin form the last shed it will most likely come off next time, and should not cause any trouble. respiratory infections are unrelated…you would see a variety of specific symptoms. Skin growth, fungal infections etc. need vet attention, but usually, in that area, dry skin is involved. Ambient temperatures should be 80-85 F with a basking site of 90 F; the low temps could be depressing its appetite; please see this article for more on basic care, and let me know if you need further info. Is it ok to feed my snake during dry shedding? I haven’t fed him in a while and i don’t want him to starve. I’ve been having the same problems as Sabrina with my ball python. There’s still aa lot more skin left over. Is it possible to pull it off for him? And how would I use the olive oil on him? Plus can he be fed in his state? My spider ball python is going through his first shed while being under my care and it’s a very patchy, broken up shed. He can’t seem to get the rest off and also the caps over his eyes just won’t seem to budge I don’t know what to do its been a couple of weeks since he started shed and he still has a bit to go, any pointers or tips I can use to help him out?? Hi frank i just got a beautiful male baby ball python and he is about 22 inches. He is just now going through his first shed with me and he is my first snake so i dont really know what to do other than not mess around with him. I would love it if you gave me some great tips to help him out with his shed. Also, the humidity in my tank is always around 10% and I’ve heard that its supposed to be higher than that so i would also love it if you gave me some tips on how to get the humidity higher. Thanks so much for the info. It helps out alot and i am very thankful considering i dont know anything but the basic stuff mainly. And i have now fed him 3 times and he sat in the same spot and didn’t move for 2 to 3 days and when he finally did move there were what looked like green pellets and some white stuff on the bark. I know they poop and stuff but is it supposed to be green like it is? Hey Frank, I’m glad I found someone willing to answer questions as there seems to be some dispute over what I’m trying to find out. I am thinking of purchasing a rat snake and I know they are supposed to be kept in a dry environment as humidity is bad for them. Some sites say that during shedding, spritzing them with water to aid the process can help but other sites say you should never spritz your rat snake as the humidity is bad for their lungs. What is the best way to help a rat snake if they are having a dry shed? Hi, I have a white lavender albino yellow headed reticulated python, she is 8 months old and 6 feet long. She has done fine with sheds so far, I use coconut mulch for thensubstrate, two heat pads on the aquarium it is a 250 gallon glass aquarium, with a custom lid and a heat lamp for the warm side. The warm side stays about 85-88 degrees F and the coloer side stays about 78-80 degrees F. She has a large container she can soak in and cover her entire body. I change her substrate once a week but clean up when ever she defecates. She she last night and this morning her she’d wasn’t complete so I picked her up and she was very upset and but me twice this has never happened but I don’t normally handle her after sheds or feeding. The underneath of her from the tip of her tail to about 8 inches in are a pinkish red and where the shed stopped coming off she was bleeding some. I soaked her in the bath tub for a hour and then soaked her in 1% Betadine solution for 20 minutes I patted her dry and put triple antibiotics ointment on the area. Do you know what this could be I have had over snakes but nothing ever happened to any of them except a vet told me one died of old age. Thanks for your opinion/help! Also I forgot to add that I have a repti fogger and with that the humidity on average is about 65-75% humidity, I have both analog and digital hygrometer and thermometers in the set up at both the hot and cooler side. I have a central American red tail boa.. We got him about 7 months ago. He was eating perfectly fine. But lately he hasn’t been wanting to eat.. It’s been about 4 months. Saturday morning we went to where we bought him and spoke to a snake specialist said it might be that he wanted live mice so we tried it. He ate it in a heart beat BUT the mice has been stuck in his mid-section for 2 days and we caught him twisting himself like crazy I don’t know what is going on. We have a female also but she is doing perfectly fine and is growing as she should be. Him on the other hand has not grown actually he seems too tiny and he’s older than the female. And he has no force he doesn’t grip onto anything he falls off the plants we have for him.. Can you help? please consult a vet rather than pet store for such problems…live mice are never necessary for boas, bites leading to infections will always result in time. Fasts are not a major concern…if in good health, they all take dead mice once hungry enough. I have a baby ball python I purchased at a pet store 2 weeks ago. He has eaten once and I have a fairly humid aquarium tank and the temperature has been roughly 88 degrees during the daytime. I believe he shed fairly recently at the pet store but I noticed some scales on his belly seem loose. When I hold him up to the light it looks like little pieces of his skin are sticking up like they are either part of an old shed or he has rubbed up against something rough. He doesn’t have anything rough in his tank, and I feel like I would have noticed this earlier had it been a problem when I bought him. I recently got a seven year old, 4 and a half foot long normal corn snake. The day I got her, her scales seemed to be fine. 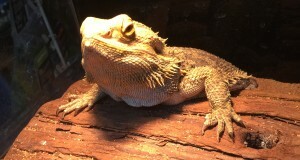 It’s now a little over a week later and she appears to have dandruff on her scales. They do not look like mites. She also has a scale on the middle of her head popped up. Not the scale itself but it looks like she shed it off. I’m not sure what I’m doing wrong. If the humidity is too low, what are some ways I can raise it? She is active and nothing seems to be wrong besides the scales. I have a new Kenyan Sand Boa who is just under a year old. I acquired her a month ago, and within days she began to develop an extremely rough, white tail. A small patch has also developed on her head. She denied food just over a week ago and I assumed she began the shedding process, so I did not attempt it again this week. She has begun to hide under her rock, which she did not do before (it is located on the hot side). My mother and I have also begun to mist her and the enclosure very occasionally and she has enjoyed taking baths in her water dish on her own. However, over the last week, she has not become any more cloudy or shown any other signs of an advancing shed. I have a picture, but cannot post it on here so for my website I gave a link to my post on a forum where I ask the same question that includes the picture. Thank you. I don’t suppose you could help me with a 6 year old leopard gecko that I just acquired? As far as I can tell she is pretty healthy other than she is a little small for her age. The main problem/question that I have is about her eyes. They both look so cloudy and she can’t open them in the morning. I had some gentamicin drops left over from another lizard that I tried but it seemed to irritate her so I stopped it. However, her eyes look so much better after using the antibiotic drops. I purchased a shedding aid spray and it says it’s ok to spray on retained eye caps (which I am fairly certain is what’s wrong with her eyes but not 100% sure). If her eyes only have a portion of retained shed is it ok to use this spray on them? Thank you for any help you can offer. I found your articles are very helpful! I still have a little question: the level of humidity will always cause log getting mouldy, will that be bad for pythons? Sometimes he will rub against it before shedding, I’m afraid that the mould will cause infection or something. Thanks you so much! I read through most of these and seemed to have gotten a lot of the information I’ve needed. However, my albino prairie king is extremely feisty and difficult to really examine. I’ve had it approximately two months and it is young, just not sure how young. Anyway, the first shed in my care was seemingly great. One solid piece, did not see any holes or missing pieces. I have two questions in regard to this shedding process. What’s the best indicator for an albino prairie king starting to “blue?” It’s color is making it difficult for me to notice, and in fact I didn’t realize it was shedding until I came home to the skin in the tank. It’s always feisty so the behavior really wasn’t an indicator. Lastly, is it normal for the eyes to appear two different colors and/or shapes? I thought it was a retained eye cap but I’m not seeing any excess skin around the area. Soaking has provided no help, as I’ve tried this multiple times. Is it just normal for one eye to have a completely different shape/color? Color mutations make it very difficult to access shedding..it is usually a matter of a very subtle change. Most will cease feeding just before shedding, but that varies among individuals. I have observed snakes with eyes as you describe…especially common in albinos, etc. Frank, I acquired an Indonesian Vine Snake which I love. I soon realized that she does not self-shed or assist in the shed in any way. Other than the plentitude of advice you’ve laid forth regarding soaking, anything specific to the Indo that I should employ? There are several species sold under that common name, but all do best at high humidity levels, but with a warm dry area (beneath bulb, i.e.) and ample air circulation as well. They tend to have difficulty shedding in arid terrariums. heavy misting or perhaps a small humidifier may help. Sphagnum moss added to branches and substrate, and kept damp, is also useful. During dry sheds, try confining the animal to a container with plenty of damp sphagnum…preferable to soaking, which may be stressful, but you can soak if other methods do not work. I have a ball python, he has shed very nicely on the left side but the right side is still flaky! Even is right eye. Hes been in shed mode for almost 2 weeks! I see where you have told others to soak there snake.. But how? My snake hates being in the water? Any suggestions? Please keep in mind this is my first! Ball Pythons are notorious for having bad sheds, so don’t feel too bad. The easiest way to go about soaking a snake is to use a clear container with a lid so that they can’t get out. (make sure to poke air holes in it). I usually use clear Rubbermaid containers. Fill the container so that there is just enough water to cover the whole body of the snake. It is very important that you fill the container with lukewarm water; using water that is either too hot or too cold could hurt the snake. It’s totally normal for the snake to flail around for a minute or two when introduced to the water. Sometimes it helps to put a wash-cloth on the bottom of the container so that the snake has something textured to “grab” on to. Either way your snake will calm down after it realizes that it cannot escape, but isn’t going to drown. Let it soak in the container for about 20 minutes, then try gently rubbing the stuck pieces with your fingers. Most of it should just slough off without much effort. If there are spots that will not come off easily, re-moistening that section can help. Make sure that you are also misting the enclosure every day to keep humidity up when you see that your snake is going to shed. Adding some dampened moss to to your substrate or under a hide can also help with this. I have owned several snakes over the years, and I sadly just lost one. It was a Sunbeam snake (Xenopeltidae is I believe the scientific name). I had her for almost a year, and she has eaten and shed fine for me, usually shed about once a month like clockwork (she was growing a lot). Then about a month ago she had what seemed like a normal shed, and she always wants to eat the next day. I fed her but then she threw it back up. It did not look like it digested at all. She has never done this before but all the research I did said to give her space and quite and let her be. But a little less then 2 weeks later she shed again. Another full shed. This was very strange, especially since she had not eaten. Then another roughly 8 days later she looked like she was trying to shed again. This was a couple days ago. I was worried cause she was getting skinny at this point and I never heard of a snake shedding so much. I have kept her with water but handling her when she sheds stresses her out badly and I did not want to make things worse. Plus the other two sheds, while to close together, were complete (eyes were totally clear and all skin was off, mostly in one piece). The sheds did not seem to be the problem. She died this morning though. I really do not know what happened, but I want to understand so it does not happen to any other snakes. Thank you.